Samsung has introduced several new devices this week. Most of them are low gamma smartphones, aimed for the general public, with simple specifications and affordable prices. 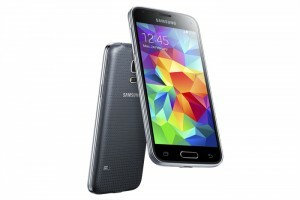 However, the company also announced the Galaxy S5 Mini, reaching the market just a few months after his older brother. This is a more compact version than the company’s flagship smartphone, the Galaxy S5, but with some lower specifications. However, despite being a compact phone, its size is still considerable. This Mini version comes with a HD Super AMOLED 4.5 inches screen with 720 x 1280 pixels. It is powered by a quad-core processor running at 1.4 GHz and has 1.5 GB of RAM. The internal memory is not high, 16 GB, but it supports microSD cards up to 64 GB. The S5 Mini runs Android 4.4 KitKat and has all kinds of connectivity: Wi-Fi 802.11, NFC, Bluetooth® v4.0, USB 2.0, A-GPS + GLONASS, and IR Remote. It includes a 2.1 MP front camera and a rear 8 MP one with a LED flash. The Mini S5 has the typical Samsung features for the cameras, as the Shot & More, Virtual Tour Shot and S Studio. You can record videos in Full HD using up to 30 fps. Despite cutting some of the main specifications to reduce size and cost, Samsung has kept some of the premium features of the S5, as the Ultra Power Saving mode for the battery, resistance to dust and water (certified with IP67), private and kids mode, and S Health. It also includes the entire collection of sensors of the Galaxy S5, as the ambient light sensor, accelerometer, compass, gyroscope, fingerprint sensor and heart rate monitor. 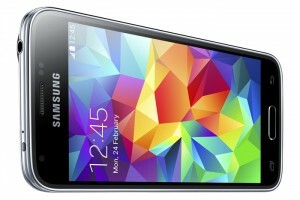 The Galaxy Mini S5 has more compact dimensions than the original model, with 131.1 x 64.8 x 9.1mm and weighs 120 grams. It includes a removable battery of 2100 mAh. It will go on sale in early July in Russia, and from there it will expand to the other international markets. 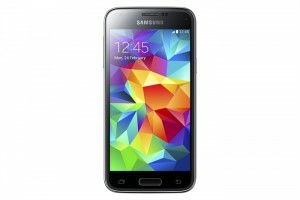 It will be available in the same four colors as the Galaxy S5: black, white, blue and gold. Currently there is no news on the price, but it should be kept well below the S5 to really stand out in front of its many rivals. Without any doubt, Samsung has chosen to offer Premium features at a most affordable price than the original Galaxy S5, although we still need to see if the price will be able to justify the drop in specifications respect the original device.